One of the most important factors for a successful practice is the right practice management system (PMS). The basics – such as patient files, scheduling, billing, correspondence logs, emails and SMS notifications – are no longer luxuries. These features are necessities when it comes to what’s important for your clinic management. Whether you’re switching to a new PMS or implementing one for the first time, the search for a solution can be overwhelming. Systems are complex and multifaceted, making it difficult to fully test drive one before making a choice. However, there are ways to whittle down the options, keeping only the best. When looking at functionality, analyse the needs of your practice. Before you commit to any one practice management system, consider what your priorities are. Before making any decisions, explore all options – shop around, get multiple estimates, investigate a vendor’s reputation and seek recommendations. Keep in mind that clinic management systems don’t just impact healthcare providers, but also every area of the practice. Everyone in your organization should be familiar with the implementation goals and long-term strategy. You want to be sure the system you get is easy to use. User-friendly systems have a shorter learning curve which allow staff and new hires to pick up and get going faster. In essence, usability measures the effort required to input information, operate the system and extract information using reports. The consistency of the interface layout, the organization of controls and intuitive navigation all contribute to productivity of team members. Ease of learning also depends on how well the user manuals are documented. The easier it is to locate instructions for every area of the system, the faster you can learn the ins and outs. Another important aspect of a user-friendly clinic management system is customer support. You want the ability to get help when you need it. With Universal Office, you get a clinic management system that is not only easy to learn, navigate and use, but also a comprehensive solution that comes with a powerful reporting tool, well documented online help centre, and premium on-demand phone and email customer support. No matter what your practice management needs may be right now, you want to ensure the system you choose can accommodate your future growth. As you build and broaden your scope of practice you want to ensure that your system can meet the demand swiftly and efficiently. Remember, the more you can do in one system, the more valuable the statistics and the more efficient is the team. Universal Office integrates with four electronic billing systems, including: MCEDT for OHIP claims, HCAI for MVA claims, TELUS Health eClaims for private insurer claims, and WSIB eServices for WSIB claims. Universal Office also helps complete, store and track 60+ types of OCF, WSIB, and Extended Health insurance claim forms. In addition to that, you can attach documents to patient files, integrate with email marketing systems (such as MailChimp) and SMS services (such as SwiftSMS). At Antibex Software, we continue to add new functionality and integrate with other third party services that improve clinic management productivity. The backup and role-based user access are crucial to the security and safety of clinic data. Make sure that the system you choose allows the assignment of common role based privileges like Providers, Office Administrators and Reception. This limits access to only those system functions that are required for that role. The higher the role, the more access to information and system features the user has. Universal Office provides role-based access making information available to only those who need it. Backup is another security feature included in Universal Office. 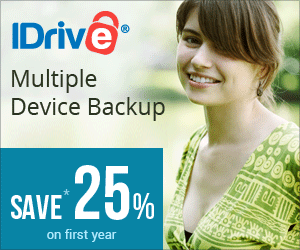 Don’t leave valuable data to chance – schedule automatic daily backup. Rest assured that your backups are successful with our latest release. Have the system send a summary report after every backup – so that in the event a backup fails you can act swiftly. For additional ways to keep your data safe, check out our blog post Keep Business Data Safe – For Less Than $100 a Year! The prices for clinic management systems vary greatly from vendor to vendor. For most vendors, the fee per provider is common practice. Others also have additional charges for features you choose to include. When looking at prices, it’s also important to find out the initial setup or activation costs, and how much each additional component will cost. It’s always a good practice to test drive before you buy. Therefore, at Antibex Software, we offer a free 60-day trial with no commitments or up-front costs. We are confident that you will enjoy our product and our service. Healthcare providers are required to keep patient records years after a patient is discharged. Should you choose to cancel your subscription with a clinic management system you’ll want to ensure uninterrupted access to your data at no additional costs. With Universal Office, you will have continuous access to your patient records through a familiar user-friendly interface. When choosing a system, first evaluate and understand the needs of your practice – then select a vendor with sound business practices, commits to improving their product, keeps up with industry changes, and provides accessible customer support.